Odisha is one of the progressive states. Naveen patnaik is the chief minister of odisha, who launched the Biju Krushak Kalyan Yojana Scheme. This scheme was launched for giving the better health treatment to the farmers. Actually it is health insurance scheme. This scheme will be applicable for the Andul district. Many poor people are suffering from various diseases. As a result they died without any treatment. Government assists them to get health treatment. This scheme is mainly applicable in the government hospitals. For introducing this scheme poor people will get proper health treatment. When they will visit to the government hospitals for their treatment using the facilities of this scheme, they will surely get treatment in low cost. Poor people must get the facilities in a low cost but pregnant women also get treatment facilities. Government declares that pregnant woman get up to thirty thousand rupees for her treatment but in the critical condition they will get seventy thousands rupees. This facility is applicable for a family. When poor people cannot maintain the treatment of a new born baby this scheme help you to keep the treatment of a new born baby. Various tastes and surgery are also available from this scheme. This scheme is not only give you normal treatment but also provide a quality medical treatment. For the purpose of surgery you can get up to seventy thousands rupees. BKKY is a revolutionary Scheme, which change the health condition of the poor people all over the Odhisa. Andul district is fully used the facilities of this scheme. When this scheme was launched poor people easily lead their life without any tension. Medicine and surgery facility are available through this scheme. When you admitted in the general ward you can get five hundred rupees per day. If they will admitted in intensive care unit, they will get thousand rupees per day. This scheme helps you to get orthopedics and pathology treatment. Eye care, radiology and dialysis are also available from this scheme. For getting the facilities common people want to use this scheme. 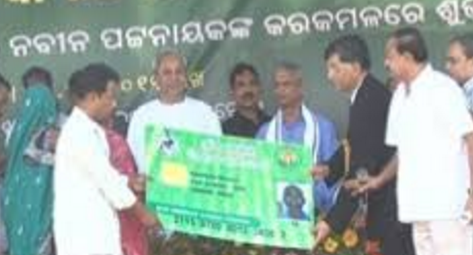 Chief Minister of Odisha introduced this scheme only for the poor farmers. He realizes that farmers are the creator of the society. Odisha is a cultivation oriented state, so when you want to reach Odhisa in the peak form all over the India, you should first notice the health condition of the poor farmer. If they lead a healthy life, productivity will be possible. For this reason Naveen patnaik, chief minister of Odisha launched Bhagya Krushak Kalyan Yojana Scheme. This scheme assists the poor farmers to get better health. Government declares that all medical facilities are available when you using the health card you will get all medical facilities.